I keep finding darling ideas of gifts to make, but now with just a few days before Christmas I don’t think anyone has the time! Ah well, next year I’ll be a bit more prompt with those posts! Instead, here’s two pages of ideas from Dennison’s Christmas Book. This booklet is undated, but a New Year’s girl in one of the images (which I will share later) is wearing a dress decorated with the year 1927, so I can only assume this book is from 1926. 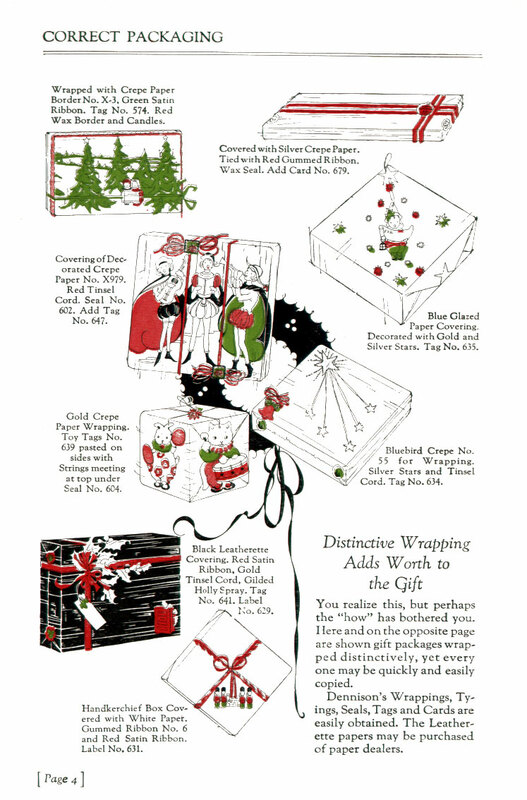 This booklet was originally intended to both give ideas for holidays and be a sort of catalog for Dennison products, however, with a little ingenuity I think you can accomplish these to a similar effect with supplies bought or crafted today. These two pages are full of ideas which could be tackled in enough time for your festivities, if you are lucky enough to be on top of your Chistmas prep to date! Click on either image for a larger version you can save or print. I simply adore these creative ideas of gift giving! Even if you don’t use these ideas for Christmas day, they would be charming for a holiday themed party the week following Christmas. Make sure you enlarge the image so you can read the fun gift giving suggestions. 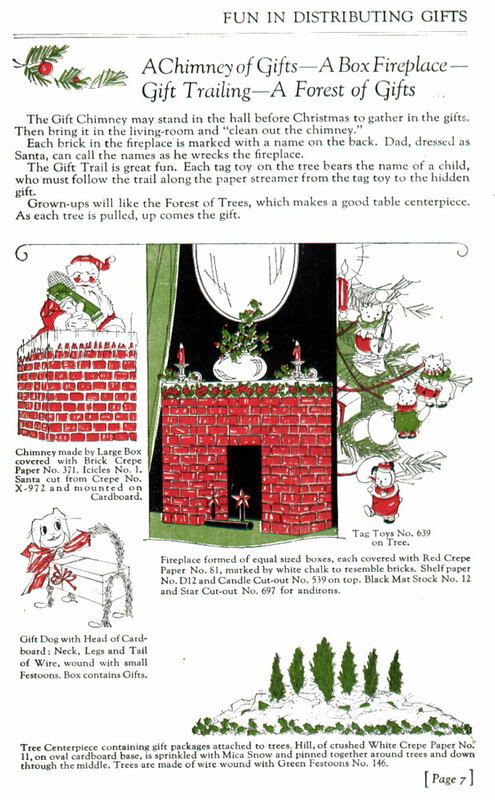 If you want more fun 1920’s Christmas ideas, Google Books has a free e-book of the 1922 Dennison’s Christmas Book available here. How pretty! I remember doing something like that star radiating from the corner years ago.